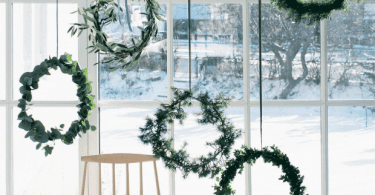 Christmas lights have come leaps and bounds since their invention and so have the DIY ways in which you can display them. Keep reading for five unique applications for Christmas lights. 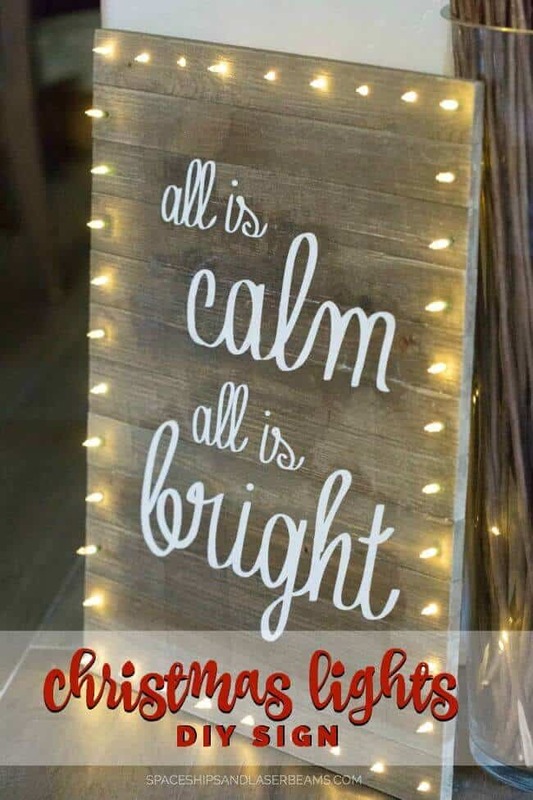 Visit Spaceships and Laser Beams for full instructions on how to DIY this Christmas Lights Board Sign. 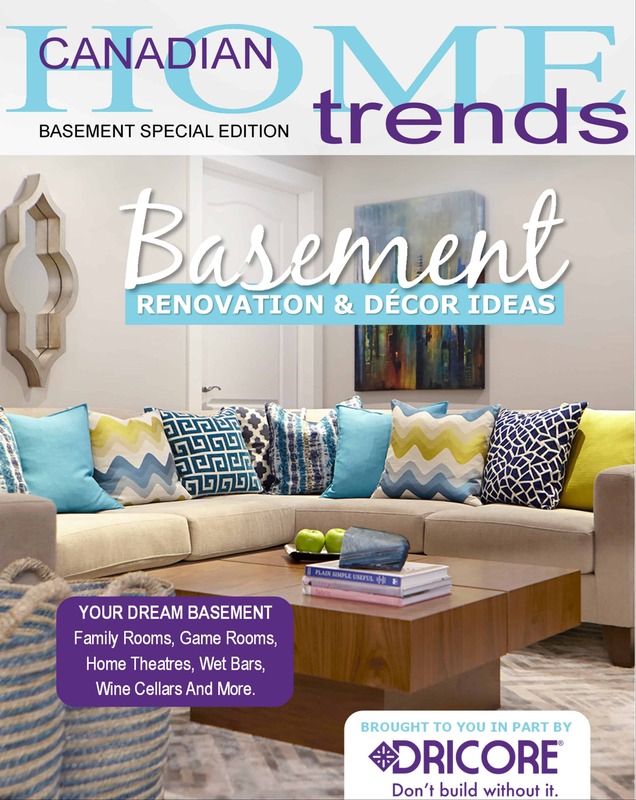 The ways in which you can repurpose an old ladder are manifold, and extend to include holiday decor as well. 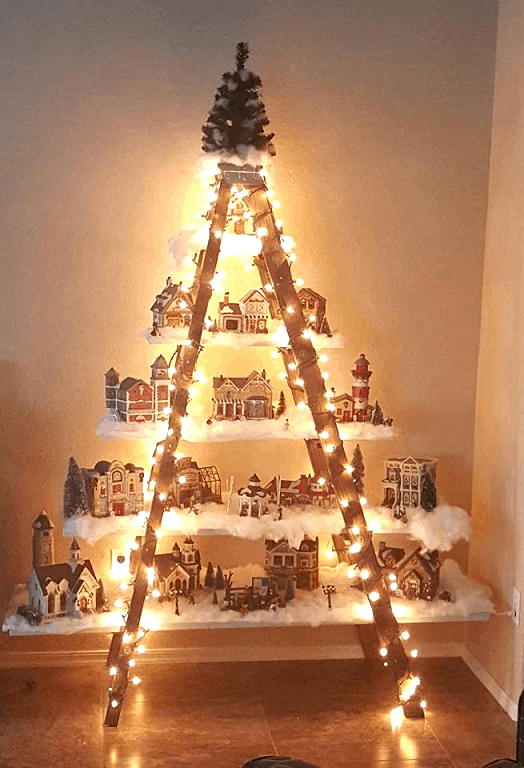 This DIY-er had created an elaborate display using an old ladder, planks of wood, white paint, pillow stuffing, and Christmas decorations. 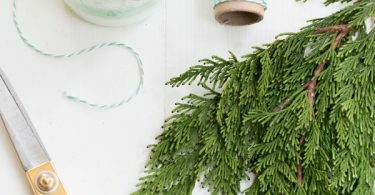 Maybe you have allergies, pets who gnaw at branches and needles, or are simply working with a small space; fortunately, there are many creative Christmas tree alternatives out there, ranging from cardboard to chalkboard to wall decals – and here’s one more. 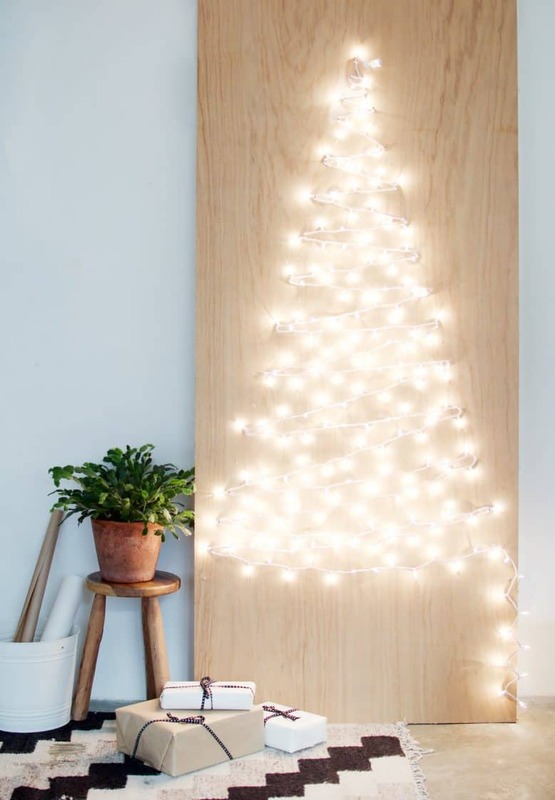 Visit A Pair & Spare for full instructions on how to recreate this String Light Christmas Tree. 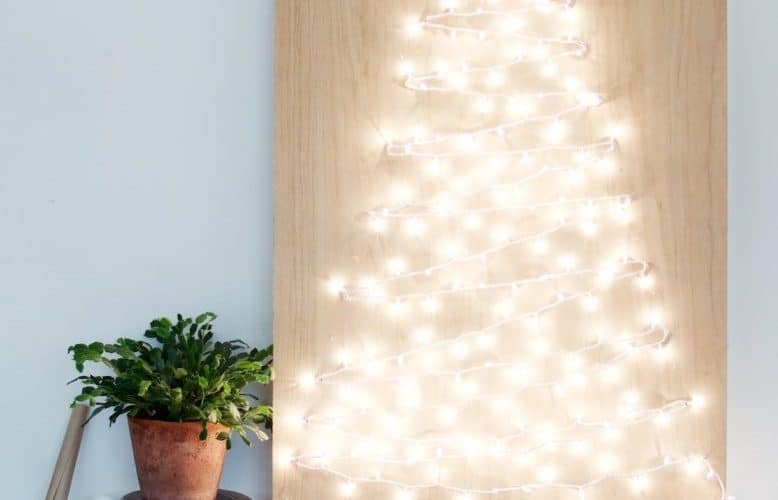 This DIY-er loved the idea of fairy lights, but did not love the steep price of them. So she recreated her own, using nothing more than LED lights, paper, glue or double-sided tape, and a needle and thread. 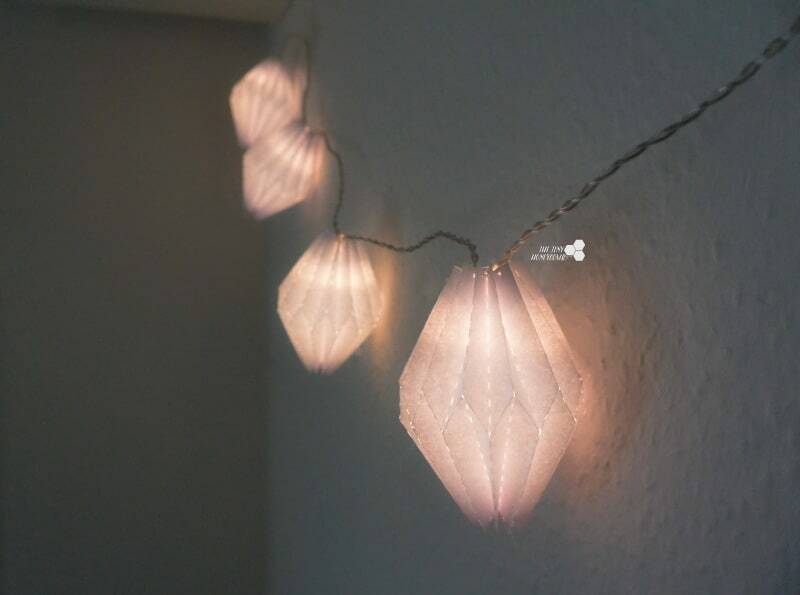 Visit The Tiny Honeycomb for full instructions on how to DIY these Origami Christmas Lights. Got little ones running around? We love this Christmas-light-inspired project courtesy of Debbie Chapman, (and your kids will love playing with chalk inside the house). 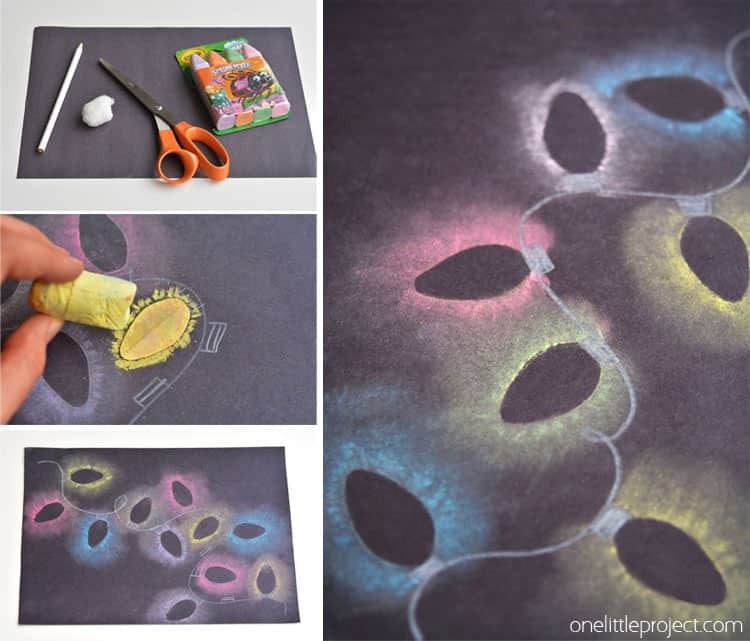 Visit One Little Project for full instructions on how to recreate this Stencilled Christmas Lights project.